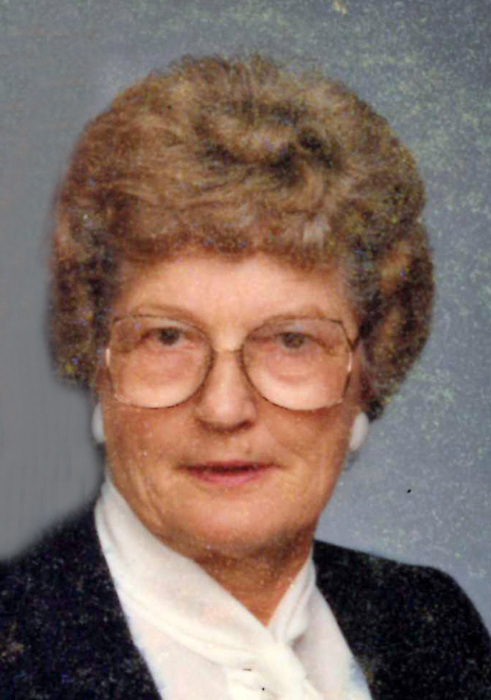 Mary Effie Wearmouth, 94, of Newton died on Saturday, March 16, 2019, at Accura Healthcare of Newton East. A funeral service will be held at 11:00 a.m., Tuesday, March 19, at the Wallace Family Funeral Home and Crematory. The family will greet friends from 10:00 a.m. until the time of the service at the funeral home. Memorials to the First United Methodist Church may be left at the funeral home. Mary, the daughter of Theron and Eva (Bakker) Shannon, was born on March 5, 1925. She grew up in Monroe and graduated from Monroe High School. On September 18, 1947, Mary was united in marriage with Dwane Wearmouth. They made their home in Newton and were blessed with two children, Christine and Craig. Mary was a homemaker as the kids were growing up; always making cookies and helping with 4-H projects. Later, Mary would work for the Iowa DOT licensing bureau at the Lucas Building in Des Moines. She was an active member of the First United Methodist Church and enjoyed playing the piano. Mary is survived by her children, Christine (Martin) Stone of Ankeny and Craig (Debbra) Wearmouth of Newton; five grandchildren, Shaun Stone, Justin (Sara) Stone, Marc (Susan) Stone, Rachel (Will) Wilimek, and Joseph Wearmouth; and eight great-grandchildren, Mikayla, Jordan, Matthew, Elliott, Kailey, Jackson, Emmett, and Braden. She was preceded in death by her father, Theron Shannon; mother, Eva Nuckolls; husband, Dwane Wearmouth; and a brother, Edward Shannon.